I've always liked the look of the 1937 Raleigh Sports pictured below. I particularly like the "Lauterwasser" style handlebars with the shorter Raleigh type stem. The short stem gives the bike a solid look and the old Raleigh chromed steel brake levers look fantastic. This bike has a classic style reminiscent of a path racer from the period. It was time to change out the handlebars of my Guvnor so I decided to mirror the look and styling of the 1937 Raleigh Sports. After a bit of research on the net I managed to get hold of the parts needed for the transition. I got hold of a short reach New Old Stock (NOS) Raleigh style chromed stem, a pair of original NOS Raleigh Mark I brake levers, and some Britannia grips. The Raleigh type stem and Britannia grips were affordable and relatively easy to come by, however sourcing the original NOS Raleigh Mark I brake levers was difficult. These steel levers have not been 'remade' by Chinese vintage bike component manufacturers, so locating an original NOS set was difficult and expensive. Once the levers landed at my home address I discovered that they were worth every penny. The steel brake levers are very well made and have an excellent quality chrome finish - not modern chrome, but the old type of chrome that feels more solid, if that makes sense! Even the bolts have a beautiful chrome finish, and quite frankly for this application there is not a brake lever available today that can compete with this lever. 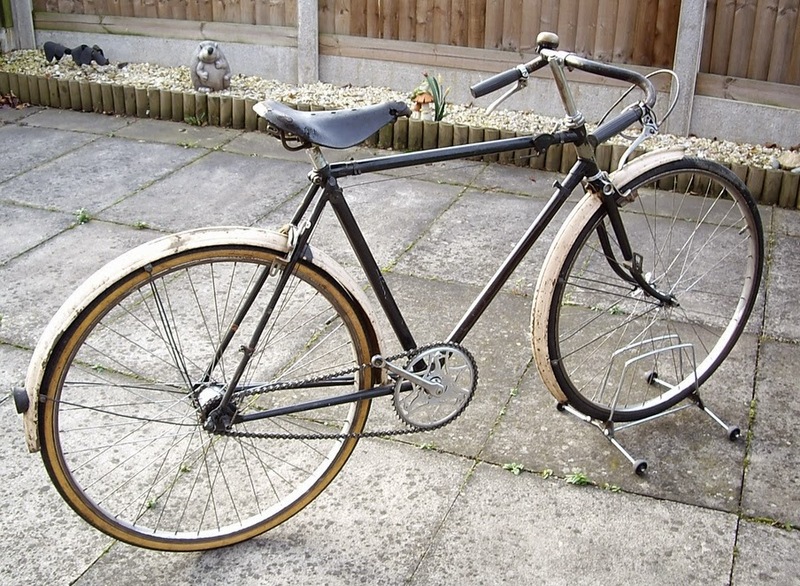 I had a set of Soma 'Lauterwasser' steel handlebars that I had previously fitted to my Guvnor. As the new stem was quite short I had to cut about 25mm from each end of the handlebars to minimise the rearward reach of the bars. This measurement left just enough length for the Britannia grips and the Mark I brake levers to fit neatly on the handlebars. The key here was removing 25mm from each end of the handlebars. It's amazing what a big difference a small change can make! During setup I tried several different handlebar positions but found this angle to be the most comfortable. It also allows for more knee room when riding up and out of the saddle.